Applied Avionics has proudly served the aviation, aerospace and military industries for 50 years. During that time, customers have trusted our VIVISUN® and NEXSYS® products to help them create reliable and innovative system designs. We dedicate this milestone to our customers and to the devoted men and women who have served our company. We are proud to be recognized as an Honoree for the Military & Aerospace Electronics Innovators Award for three years running. Our 2018 recognition is for out NEXSYS® ARINC Multi-bit Binary Decoder (SR429/4D). 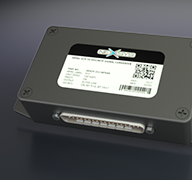 This addition to our NEXSYS Component family provides a Binary-Coded Decimal (BCD) decode of up to four selected data bits from a single ARINC label and provides a discrete output for each of the eight answers. Click below to learn more. 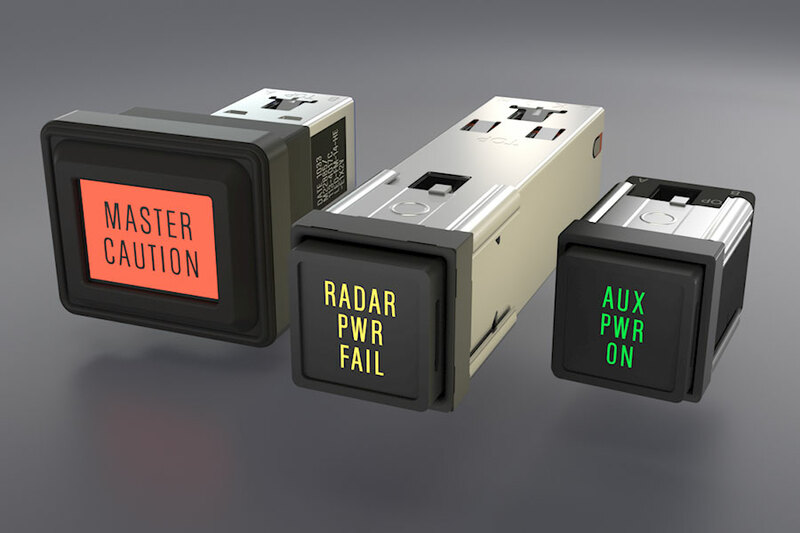 To help you meet the ADS-B Mandate, Applied Avionics now offers ready-to-ship VIVISUN® annunciators in three common configurations. No software, firmware or programmable logic. No external decoder box required to achieve annunciation based on data bit. 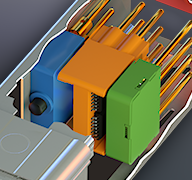 Accommodates two additional discrete inputs to provide “fail” monitoring. Includes watchdog timer with selectable buffer times to monitor validity of incoming ARINC data stream. VIVISUN® Switches and Indicators are the preferred choice of leading OEM aircraft manufacturers and military services worldwide. Our products offer life of the platform reliability and are backed by the industry's best delivery time and first class customer service. With our NEXSYS® products, Applied Avionics can expand into solutions behind, not just in front of, the cockpit panel. 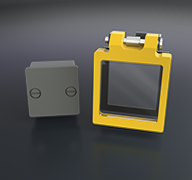 NEXSYS products can work independently or can be paired with VIVISUN lighted pushbutton switches and indicators for applications that require a robust human-machine interface (HMI). 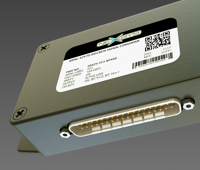 NEXSYS Component Technology is a set of ruggedized electronic building blocks that can be mix-and-matched together to create tailored system integration solutions. NEXSYS components can be configured inside VIVISUN® lighted pushbutton switches, as well as inside NEXSYS Modules. The NEXSYS® ARINC 429 to Discrete Signal Converter (SR429) takes any single ARINC 429 data word input and converts each data bit into a discrete output signal. The SR429 contains no software or firmware, and is designed and tested in accordance with DO-160. to create custom avionics solutions. A 20 second power up delay occurs following activation of mission power assuring primary avionics systems have completed power up and have stabilized before auxiliary systems power up. The auxiliary systems depend upon the stability of primary systems for calibration and correct power up. Eliminate the need for a mechanical switch guard on an aircraft door control switch. The door open switch contacts must be held closed for 2.5 seconds to activate the opening process. Inadvertent contact with the switch for less than 2.5 seconds is will be ignored. A Solid State Relay is used to perform the function of a traditional dropout relay. The components transition from normally closed (NC) to open (high impedance) and uses the change of state to illuminate a separate indicator message. Additional components may be included to increase functionality. This circuit detects a fuel tank over fill condition. When an over fill occurs a limit switch trips and a blinking advisory is initiated. The Blink mode continues until the over fill is corrected resetting the limit switch. The circuitry for this system is self-contained in a single indicator body. The system allows the attendant to request an intercom call but only the flight deck can activate or cancel the call. ATC Com is allowed to override an internal call and the cabin has an emergency call option with a visual call indication on the flight deck. 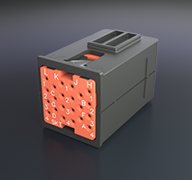 Functional components including latching flip-flops, solid state relays, digital-to-analog signal converters, Boolean logic gates, voltage sensors, pulse/timers, electronic rotaries, diodes and terminal blocks can be combined to create over 1,000,000 possible configuration options in a small form factor enclosure offering unparalleled design flexibility.
" I was able to use NEXSYS Component Technology to create products for my customers that exceeded their expectations, while saving space, weight, time and money and increasing reliability. " 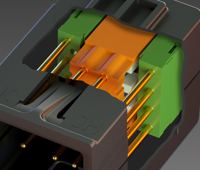 " The biggest advantage to using NEXSYS Component Technology is the reduction of bill of materials and less production time during terminations. " " I was able to use the innovative NEXSYS Component Technology to deliver a solution to our customer which saved weight, critical flight deck real estate, and power requirements which are always a concern when adding new avionics systems. " " The product worked flawlessly the first time around. NEXSYS Component Technology equipment allowed us to provide a working solution to an otherwise insurmountable problem. " " I was able to solve a problem that arose late in the testing phase using NEXSYS Component Technology. The robust, lightweight and configurable design allowed for a design change that was quickly implemented and with minimal impacts to the aircraft or schedule. " " By using NEXSYS Component Technology, the development of specific electronics and software was avoided, enabling the solution to be quickly tested, certified and delivered with minimal risk. " 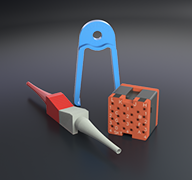 We offer a number of accessories including switch guards, panel plugs and essential tools that are compatible with all our products. We look forward to providing you with an exceptional customer service experience. Please use the links below to contact us. Use the links below to find out about our manufacturing and quality standards and active certification specifications.